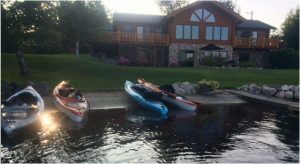 Lake Shore Homes are Moving Already!!! Everybody knows lake shore homes never sell in the winter…Or do they??? 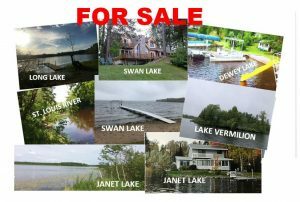 Our office has put together 4 deals on nice lake homes in the past 3 weeks, and we have some other buyers currently looking. If you are interested in checking out any lake homes listed through the Range or Itasca MLS, call our office at 218-263-4411 anytime, and we will get you the information you need and set the showing appointments you want! FYI The Range MLS currently has 14 Residential Lake homes/cabins listed under $100,000, 16 more between $100,000 and $150,000, 32 more between $150,000 and $200,000, as well as 139 more listed over $200,000. Don’t miss out!! Call today!! Johnson Hometown Realty www.JohnsonHometownRealty.com 218-263-4411. P.S. Lake shore owners who are thinking about selling may want to consider getting in on this early activity as well…. Our most recent 5 home financing blogs have been about the most common mortgage options available – FHA, DVA, Conventional, USDA, and 203K Renovation loans. The purpose has been to give buyers an idea of the different programs that are out there and to encourage those buyers to find a good, experienced lender to determine which mortgage makes the most sense for their particular situation. Today we want to do the same with one of the better loan assistance programs available – The Homeowner Assistance Programs offered by AEOA and KOOTASCA. The Arrowhead Economic Opportunity Agency (AEOA) offers help to qualified families looking to purchase homes in St. Louis (except Duluth), Lake, or Cook Counties. Education, counseling, and financial assistance are all available through AEOA. KOOTASCA has the same types of programs for Koochiching and Itasca Counties. The education component involves Homestretch Workshops open to anyone interested in learning how to buy a home. These workshops are designed to give an understanding of how real estate transactions work, qualifications for home buyer financing, and responsibilities of home ownership. The counseling occurs during the “1-on-1” meeting that takes place BEFORE a purchase agreement is signed. 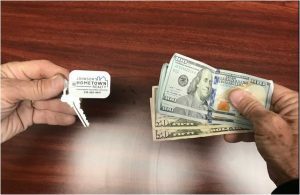 And the financial assistance (funds provided by Northeast Minnesota HOME Consortium) involves money toward a qualified buyers down payment and closing costs. · The home purchased must pass the Minimum Housing Standards Inspection. · Buyer must be a first-time home buyer or not have owned a home in the past 3 years. · Buyer is required to contribute a minimum of $1,000 toward the purchase of a property from their own resources. Some available mortgage programs may require additional buyer contributions. As always, work closely with a good lender who understands and offers this assistance program, as not all do. 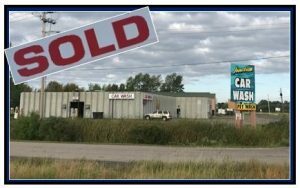 Thanks very much to Casey HinnenKamp of the American Bank, Hibbing, and to Sandy O’Fallon of AEOA and KOOTASCA for their help with this blog. Coming next, (I think), How to create and/or improve your credit score…. Home financing translated into English that a normal person can understand…Part Five. Thus far in our series about home financing options we have blogged about FHA, DVA, Conventional, and USDA loan options. 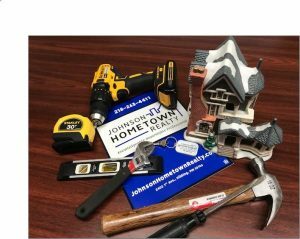 (Go to johnsonhometownrealty.com to review any of these blogs…) Today we are taking a look at the 203K Home Improvement Loan program. These are definitely “niche” loans, but the borrower looking to buy and immediately remodel a property may find this to be an ideal option. As always, this blog is an effort to give you just enough information to make you aware that this program exists and to get you in to see a good, experienced lender who can answer all of your questions and to help you ascertain if the 203K program is the best answer for you. The main “pros” that 203K loans offer include: No current equity is necessary, only a 3.5% down payment is required, the buyer ends up with one mortgage, one payment, and one deduction, and finally, the borrower can finance all desired home improvements as well as the replacement of any missing appliances such as a furnace, refrigerator etc. The “cons” of these loans include: Do-it-yourself work is not allowed, borrowers must work with contractors for written bids, contractors must be vetted and approved by lenders, many lenders either do not understand or even offer these programs, loans are only available for primary residences (not open to investors), and more paperwork is generally involved and closing often takes longer than with other mortgages. As has been discussed in this series of blogs, there are many different home mortgage programs available. Do not become confused and do not become intimidated. Work closely with a good lender, and find the financing option that works best for your situation!! Thanks very much to Julie Rigstad of Union Home Mortgage for her expertise and input for this blog. 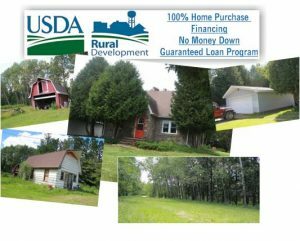 USDA Rural Development – The “Top Secret” Home Loan Program!! Home financing translated into English that even a normal person can understand…Part Four. While “Top Secret” may be overstating it a little bit, this program is certainly the least known of the available mortgage choices. These are zero-down-payment mortgages guaranteed by the USDA for eligible rural and suburban home buyers. They are most often used by borrowers who are having trouble getting traditional funding. The primary advantages of a USDA Rural Development loan are: No down payment, up to 6% seller concessions towards buyer closing costs, modular and manufactured homes may be eligible, and no lot size restrictions. The main disadvantages include: Geographic restrictions (for example, property with a Hibbing zip code is NOT eligible), Mortgage insurance is required, there are certain income limits, and only single family, owner occupied homes are allowed. Home financing translated into English that even a normal person can comprehend…Part Three. Over the past few days, we have blogged about FHA and DVA mortgages focusing on the basic advantages and disadvantages of each. A home buyer is well-served to have some idea about all of the different funding options and then to discuss those options with a lender who can guide them down the best path. 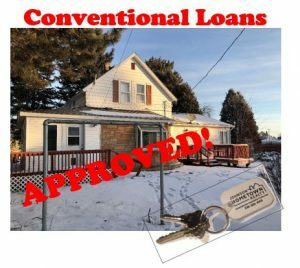 A conventional mortgage is a home loan that that is not insured or guaranteed by the federal government, as opposed to FHA, DVA and USDA mortgages which are backed by the feds. Nationwide, conventional loans are the most common type of home finance options. The main benefits of conventional financing include: Loan fees can be negotiated, creative financing is an option, down payments can be as low as 3%, total closing costs are lower than with other options, mortgage insurance can be discontinued at a certain point, and the appraisal rules are more relaxed than they are with government backed loans. A buyer does not need to be a home loan expert before going in to meet with a lender, but having a little background about some of the terms and the main options will give him/her a definite “edge” when speaking with a mortgage broker. 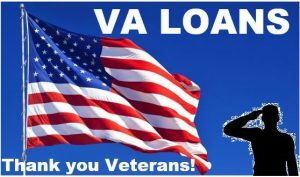 “Thank you” to all U.S. Veterans, and By the way, What is a VA Loan Anyway??? Home financing translated into English that a normal person can understand…Part Two. Last week we discussed FHA mortgages – What they are, what advantages they bring and what disadvantages are associated with them. As was mentioned in that blog, a home buyer needs to begin the purchasing process by finding a good Realtor and a good lender. The lender can then explain all of the options (and they are many), and help you ascertain which type of funding best fits your situation. Our goal here is to give you just enough information about the types of financing available so that you will be a little more comfortable when you meet with your lender. Everybody has heard of them, but what exactly are they? A VA (or DVA) loan is a mortgage guaranteed by the US Department of Veterans Affairs. This program is for American veterans, current military members, reservists, and some select surviving spouses. It can be used for just about any type of single family residential property, including new construction. The basic intention of the VA home loan program is to supply financing to help eligible veterans purchase a home without a down payment. The main benefits of a VA loan include: Typically no down payment is needed; no Private Mortgage Insurance premiums (PMI) are required; buyers closing costs are limited; interest rates are often lower than with other loan types; and higher debt-to-income ratios are allowable. In the vast majority of cases, an eligible veteran will find that taking advantage of the VA benefit he/she has earned is the best choice for home financing, however there may be some situations where another program may be more advantageous. Again, this is where a good loan originator can guide you through the choices and help you find the deal that is best for you. Once again, “Thank you” to all of our veterans for your service to our country, and the best of luck to you as you seek to find your new home!! So What’s the Deal About FHA Loans Anyway? Getting a mortgage and financing a home can feel like an intimidating journey – The rules seem scary; the process appears to be lengthy; and the language used sounds Greek to most people. But it does not have to be frightening, long, or confusing. Take a couple of easy steps, and learn a couple of simple terms, and work with the right people and the whole deal can be quite painless! The initial steps you need to take are these: 1) Find a good, honest, well-trained Realtor that you are comfortable working with. 2) Ask that Realtor for contact information for 3 or 4 lenders he or she recommends. And, 3) Sit down with the lender you choose and discuss your options. Here is where it could become confusing – VA, FHA, Conventional, AEOA, Minnesota Housing, Rural Development, First Time Home Buyer, Fixed Rate, Variable Rate…..Just reading all this probably gives you a headache. BUT, a good lender will be able to guide you, and over the next few days I intend to cover the basics behind the types of financing you are most likely to hear about from your lender so that you have just enough background to be comfortable. The Federal Housing Administration (FHA) is an arm of the Department of Housing and Urban Development with the primary purpose of encouraging home ownership in the U.S. Major advantages of this type of financing are: A low down payment (3.5%); Buyers can often get approval even with thin credit or problems with credit history; and it is relatively easy to use gift money toward a down payment. The major drawbacks of FHA are that mortgage insurance raises your monthly payments and often cannot ever be cancelled, and the rules an FHA appraiser must follow are more strict than on conventional loans. The rule of thumb is that the FHA is easier on the buyer and tougher on the home…. There are many factors to consider in choosing home financing that your lender can help you to navigate. FHA loans are not the best option for everyone or every situation, but they are perfect in many cases for many people. There is more than one way to show a property! 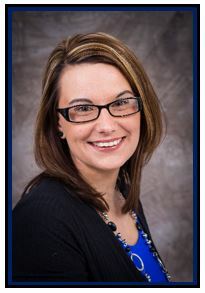 Congratulations to Danielle Randa-Sauter on Her New Position!!! A hearty and well deserved CONGRATULATIONS to Danielle Randa-Sauter on her recent election to our Range MLS Board as a Director for a two-year term!! Danielle is currently in her fourth year as a full time realtor and nearing the end of her first year as an agent and associate broker here at Johnson Hometown Realty. She will bring enthusiasm, professionalism, and real estate knowledge to the board and will represent us all very well. We thank members who have served in the past as well as the current board and welcome Danielle to her new position. 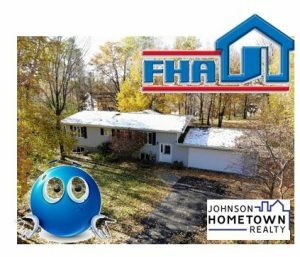 Copyright 2017 Johnson Hometown Realty - Website by: Dedicated Web Services, LLC.